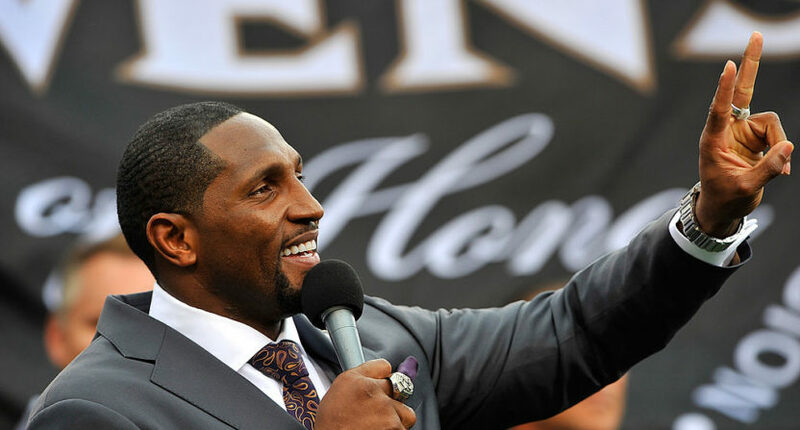 Ray Lewis revealed on the season premiere of Inside the NFL why the Baltimore Ravens chose to not sign Colin Kaepernick. However, Ravens owner Steve Bisciotti held off on signing Kaepernick, and now we have an idea why. On this week’s season premiere of Showtime’s Inside the NFL (Tuesdays, 9 p.m.), former Ravens star Ray Lewis explained that he fought for Kaepernick “like nobody has,” attempting to convince Bisciotti to sign him. But those talks died down when Kaepernick’s girlfriend, radio DJ Nessa Diab, tweeted a “racist gesture” at Lewis. Ray Lewis: “When me and Steve Bisciotti were talking, this is what we were talking about, Judy. We were talking about giving this kid an opportunity to get back in the National Football League. Look, this is what I wanted to share with people. I have been fighting for this kid behind the table like nobody has… I’ve never been against Colin Kaepernick. But I am against the way he’s done it. Here’s the tweet Lewis referenced, where Diab likened Lewis to Stephen, a racist slave played by Samuel L. Jackson in Quentin Tarantino’s Django Unchained, and Bisciotti to Calvin Candie, a plantation owner played by Leonardo DiCaprio. Lewis had voiced opposition to Kaepernick’s protest. The day before Diab’s tweet, Lewis posted a video suggesting Kaepernick should tone down his social activism while he tries to land a contract. Although Kaepernick would have upgraded the quarterback situation in Baltimore and many other places, he remains a free agent even though just about everyone considers him talented enough to be a low-end starter. Meanwhile, Kaepernick has continued his activism while other players in the league, such as Michael Bennett and Malcolm Jenkins, have assumed the mantle as leaders of the national anthem protests.